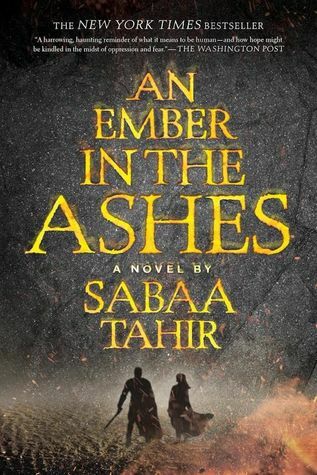 Have You Read “An Ember in the Ashes”? Even though I’m a 36 year-old man, I’m a sucker for great YA dystopian fiction. You know, Red Rising, The Hunger Games, etc. It’s a pretty short list, unfortunately. Just recently a friend introduced me to An Ember in the Ashes, and I fell hard for it. The writing is excellent, the story is gripping, the world is fascinating, and the characters are memorable. The plot follows two characters: a young woman who is chased from her family home by the ruling class and a young man who is finishing his education as an elite member of the ruling class. I can’t really say more than that without spoiling content past the first few chapters, but I’ll say in general that there’s a lot of really cool stuff in this world. It walks the line that Harry Potter did so well: It’s familiar, but it’s also otherworldly in a number of ways. I want to highlight one technique the author, Sabaa Tahir, uses really well. Each chapter shifts in perspective between the two main characters. I’ve seen other authors use this as a gimmick, a way to make you keep reading so you can get back to the storyline you’re enjoying more. That’s not how Tahir uses it. Rather, she uses it as a way to see the world from different viewpoints, both broadly and sometimes quite specifically. Again, I don’t want to spoil anything, but there are certain points where the perspectives shifts from one character to another at such a brilliantly perfect time that it elevates the story to new heights. Have you seen this technique used well in other books? Have you read An Ember in the Ashes or the sequel, A Torch Against the Night, which I just finished? What did you think? What’s your favorite YA book or series? This entry was posted on Thursday, June 15th, 2017 at 9:54 pm	and is filed under books and tagged with books. You can follow any responses to this entry through the RSS 2.0 feed. There are some young adult novels that still leave an impression on me: The Giver, Charlie and the Chocolate Factory, The Golden Compass to name a few. One of my favorite books of all time is a YA novel, and I tell anyone who wants to understand how my brain works to read it: The Phantom Tollbooth. I love all of those books! For some reason in my mind I put them at a slightly younger age than young adult, but they’re certainly in that range. For the technique you describe, Lois McMaster Bujold uses it in Mirror Dance, two protagonists, each chapter alternates protagonists. The first time she did multiple perspectives in the Vorkosigan Saga series, which she’s been doing a lot of in the series ever since (Though there are a couple of more recent works in it that have one protagonist), usually to tell a story that’s bigger than, but something about the specific narrative that couldn’t be told from either of the protagonist’s perspectives exclusively, and the rhythm of two protagonists, one getting the even chapters the other the odd ones, really worked well for it, and while it’s nice to have two protagonists for a romance novel between an 80 year old woman and her dead husband’s male ex-lover 40 years her junior (Which… Isn’t a book I knew I needed until I read it), that story could have been told from either of their perspectives exclusively. I enjoyed the YA (or “Older Children”) books in the Ranger’s Apprentice by John Flanagan. Found them to be an easy listen for my commutes. The imagery was good and there were a number of thrilling moments throughout that made the time pass by quickly without getting distracted from driving. Awesome, thanks for the recommendation! It sounds in my wheelhouse. The examples of that shifting perspective that immediately came to mind were the Expanse novels (at least the first two – Leviathan Wakes and Caliban’s War – which are the only ones I’ve read so far) and Haruki Murakami’s Hard Boiled Wonderland and the End of the World. Both deal with what starts out as very separate stories that then converge in a really interesting way. The Song of Ice and Fire series (Game of Thrones, etc.) does this too, but it gets a little bananas how many characters he tries to make you follow in the later books. I do love The Expanse–I read every book as soon as it comes out. I wouldn’t call it YA, but you’re absolutely right about the shifting perspectives.